Richie Leone is a Kicker currently playing for the Ottawa REDBLACKS. Richie originally signed with the Lions in October 2014 during the CFL’s annual practice roster expansion period. He rejoined the club on the eve of training camp 2015 following his release from the Pittsburgh Steelers. 2016: Another spectacular season as the CFL’s top punter, Richie was a dominant force for the club’s special teams unit. 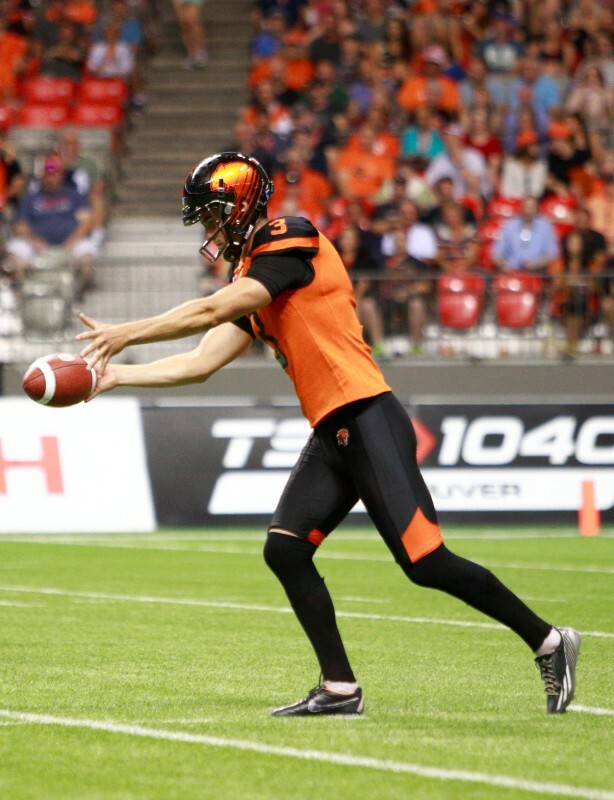 Leading the CFL in both punting average (49.3 yards) and net punting (36.9), he was an easy choice as the West Division and CFL’s top punter for a second year. Richie also handled the club’s placekicking duties and averaged 65.0 yards per kickoff. He was good on 35 of 51 field goal attempts and 25 of 30 converts. 2015: Richie was the Lions’ placekicker and punter for all but one regular season game in 2015. 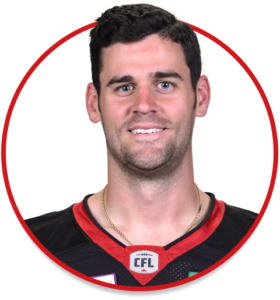 He notched a total of 130 points on the year going 30 of 39 on field goal attempts including a 56-yard effort against Saskatchewan to set new club record. Richie’s strongest numbers came in the punting game where led the league with a 49.5-yard average and a 38.3-yard average net. The lofty totals earned him a CFL and West Division All-Star selection. 2014: Richie was originally signed as an undrafted free agent by the Baltimore Ravens in May of 2014. He was waived in training camp that year and later joined the BC Lions during the CFL’s annual practice roster expansion period. 2010-2013: Richie enjoyed a standout career at the University of Houston where he appeared in 51 games over four seasons for the Cougars. 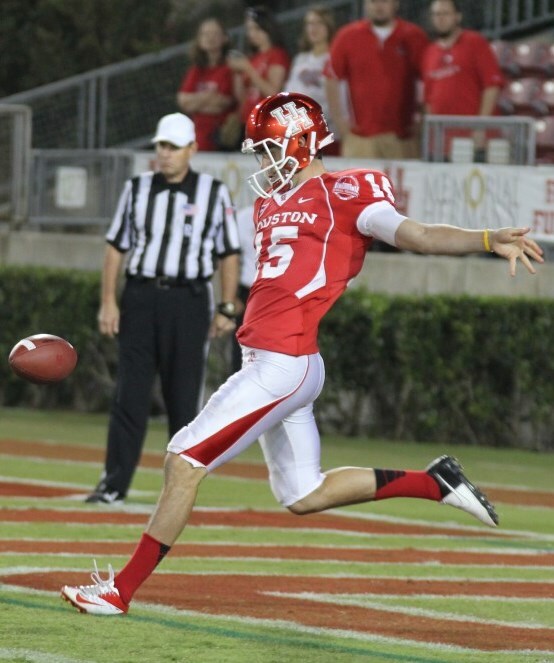 He finished his career in 2013 as Houston’s second-best all-time punter with a 43.1 career average. Richie’s steady play resulted in three-consecutive Ray Guy semi-finalist selections from 2011 to 2013. As a senior, he 16 punts travel more than 50 yards, including four over 60 yards. He also served as the team’s kickoff specialist, sending 37 of his 78 kickoffs (47.4 percent) out for touchbacks. As a junior in 2012, Richie was an All-Conference USA selection after punting 60 times for 2,730 yards. The lofty totals also tied a Houston single-season record with an average punt of 45.5 yards. Richie started playing football when he was just eight years old, and counts signing his first NFL contract as his most memorable football moment thus far. When he not training or playing, Richie likes to spend his down time golfing and cooking, and counts Shawshank Redemption as his favourite movie. The University of Houston alum majored in Marketing with a minor in Economics in college and plans to work in travel when his football days are behind him. He resides in Roswell in the off season.